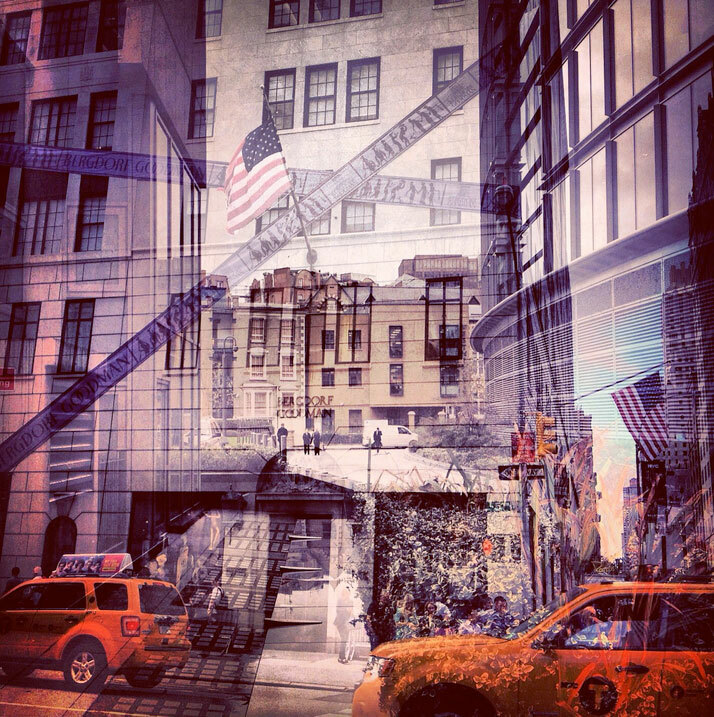 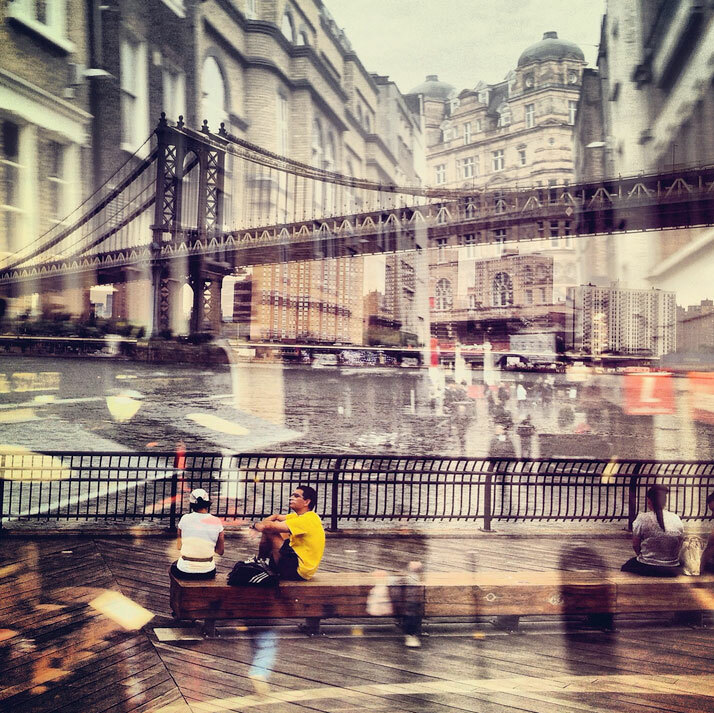 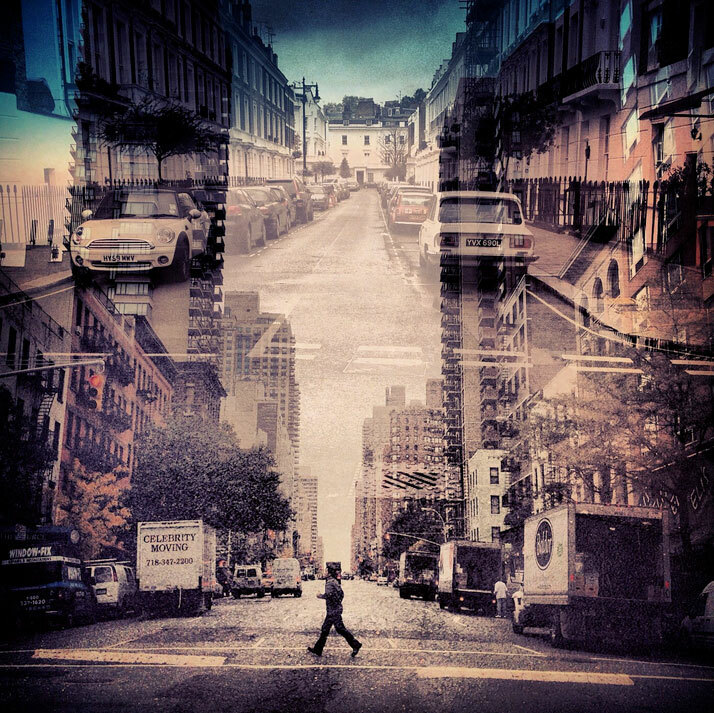 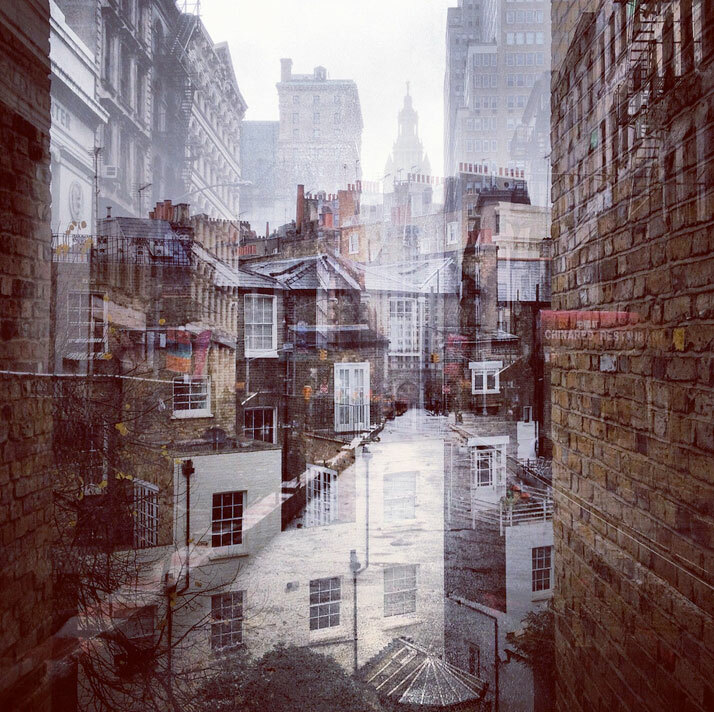 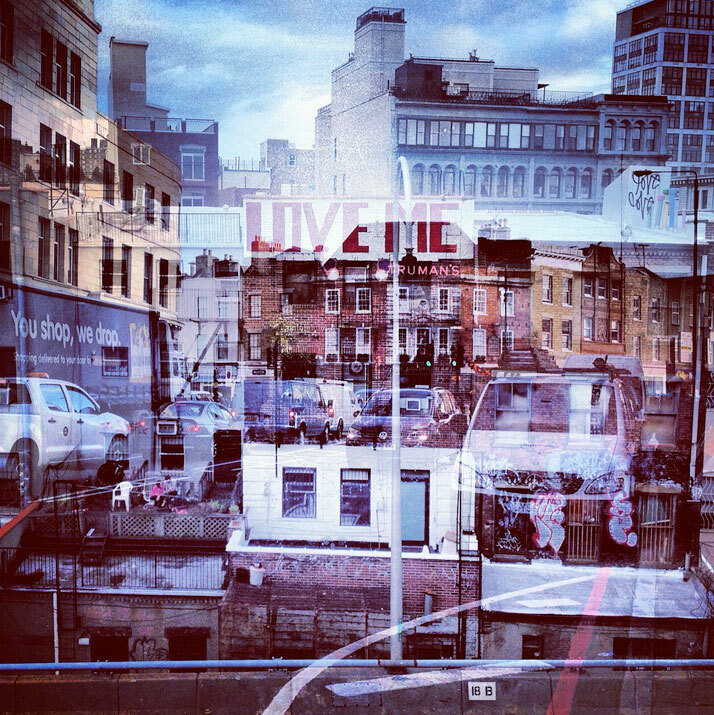 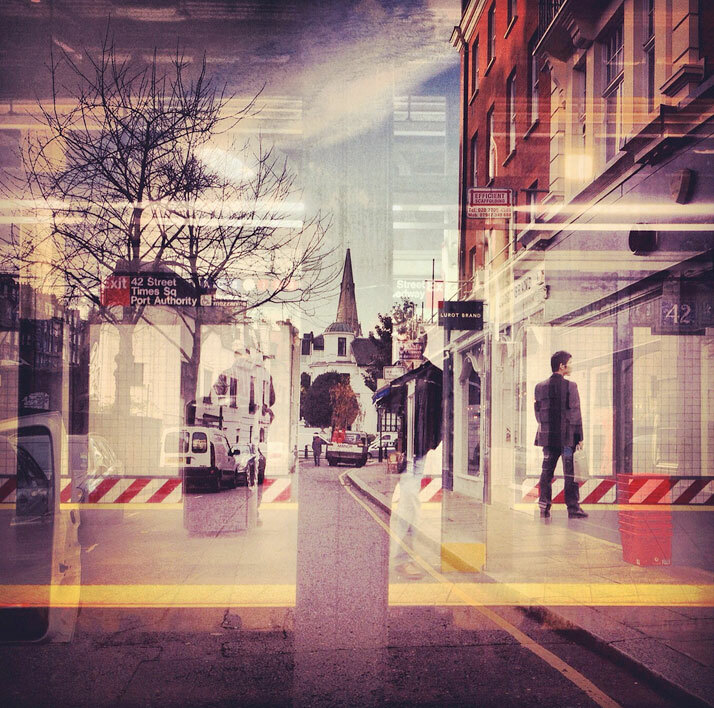 ‘New York + London: A Collection of Double Exposures’ is an Instagram double exposure series of 100 images that brilliantly merge well-known places in New York City and London into one new unified cityscape quite like no other. 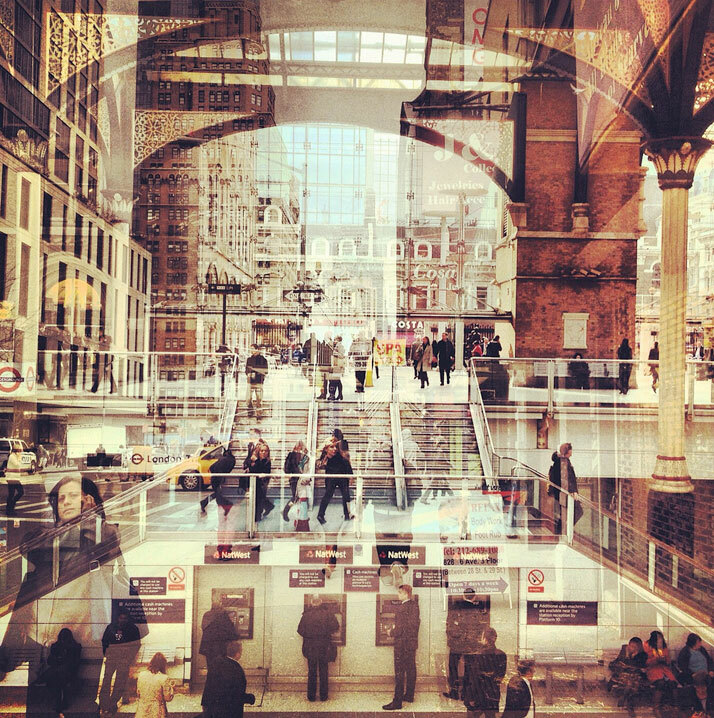 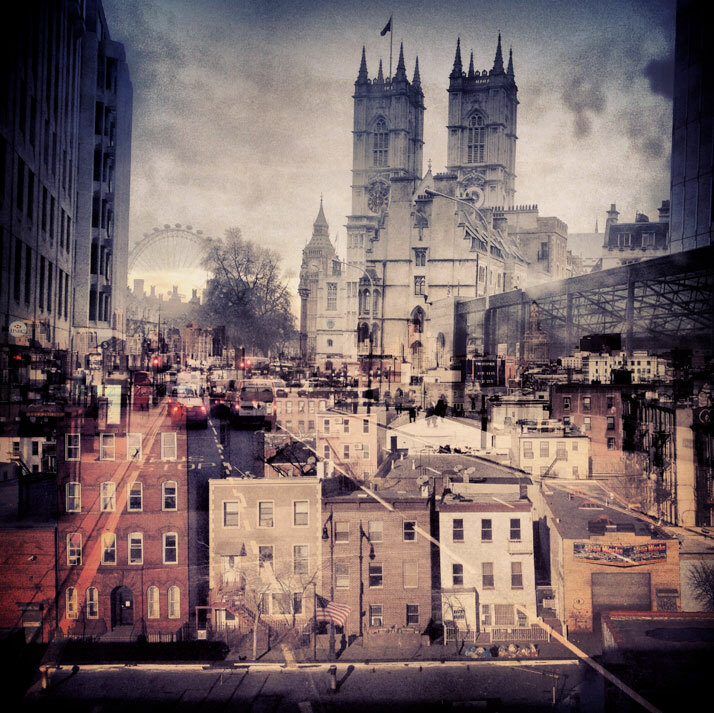 After collecting 30 days of iPhone images during her last month in New York City, Zalcman then delicately edited them using smartphone apps with images she took upon arriving in London. 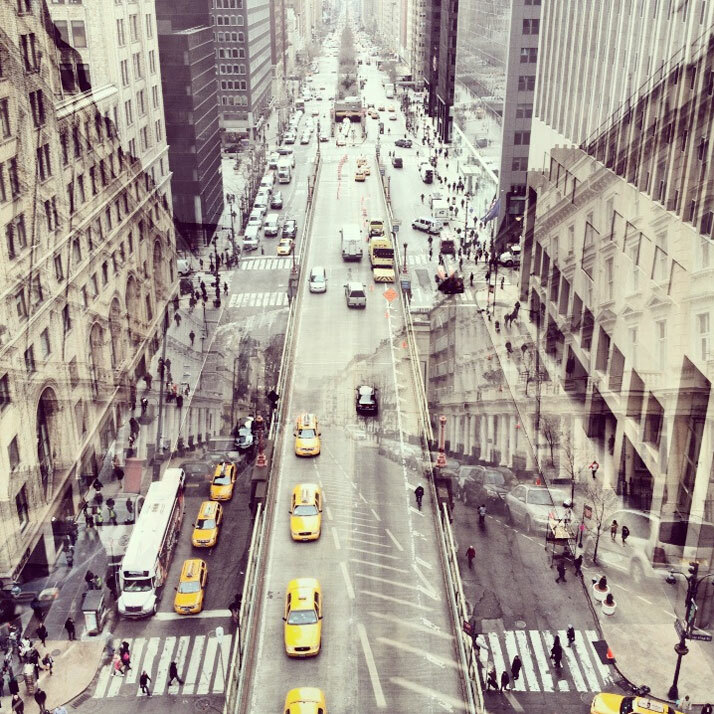 ''They’re both places I adore, and, in my opinion, they’re two of the most photogenic cities in the world'', she fervently explains. 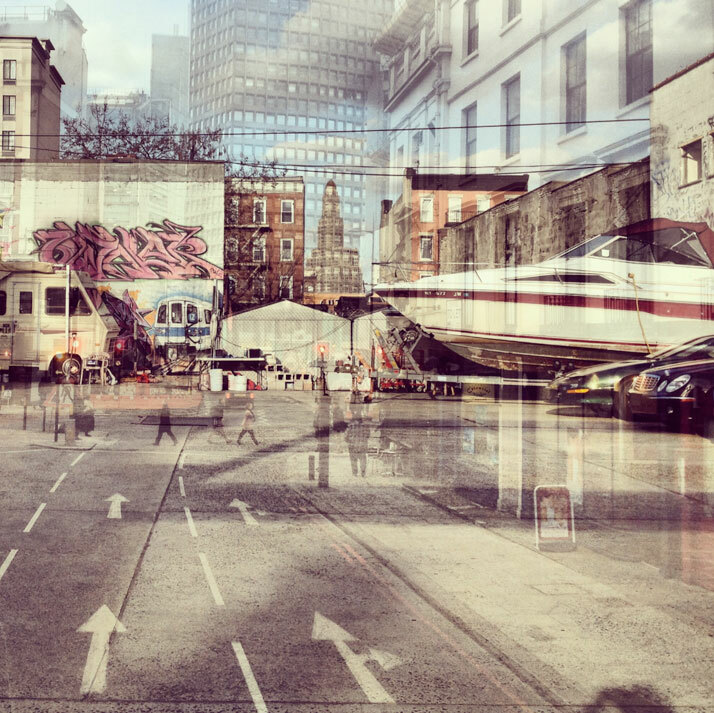 From the South Bronx to the Far Rockaways in New York, Whitechapel all the way to Hammersmith, in London, the series blurs established geographic lines, becoming an alternate map of places, streets and skylines. 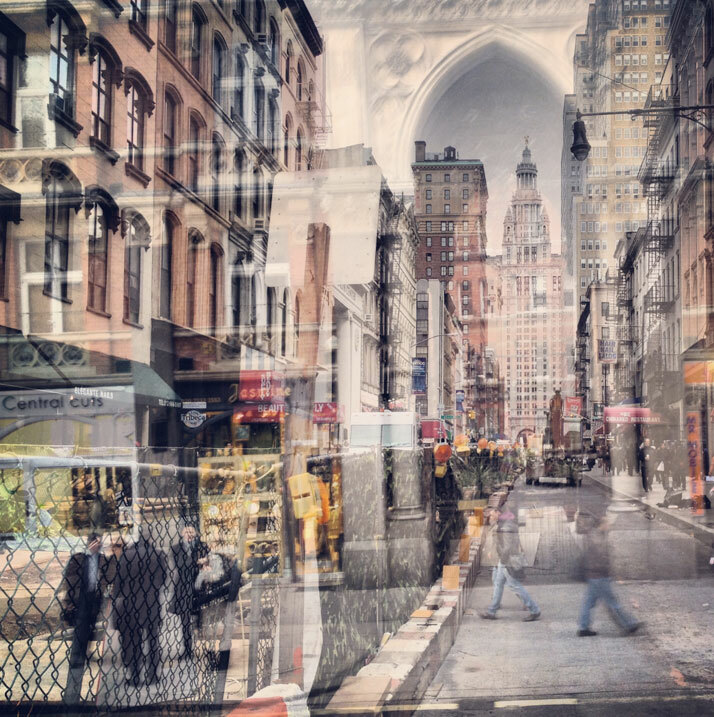 Ghostly reflections of cityscapes smoothly blend into each other in a series of whimsical architectural photomontages that transform the image of the city into an ethereal mirage. 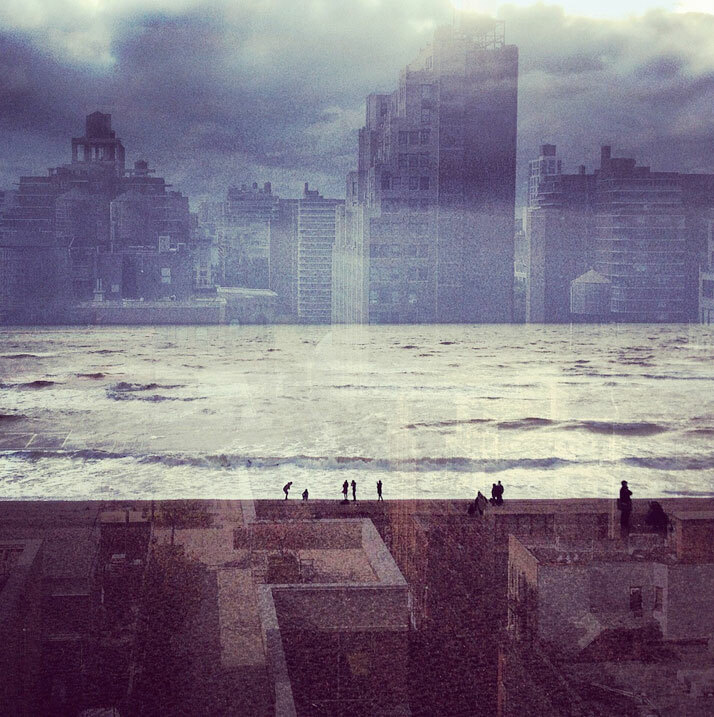 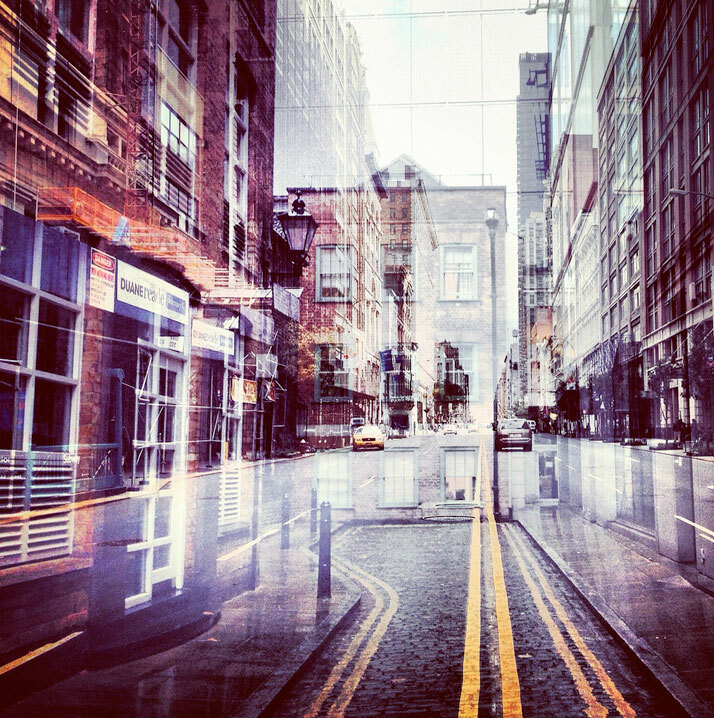 Juxtaposed negative spaces, complementing colours and heightened contrasts set the scene for new superimposed urban landscapes that appear equally foreign and familiar. 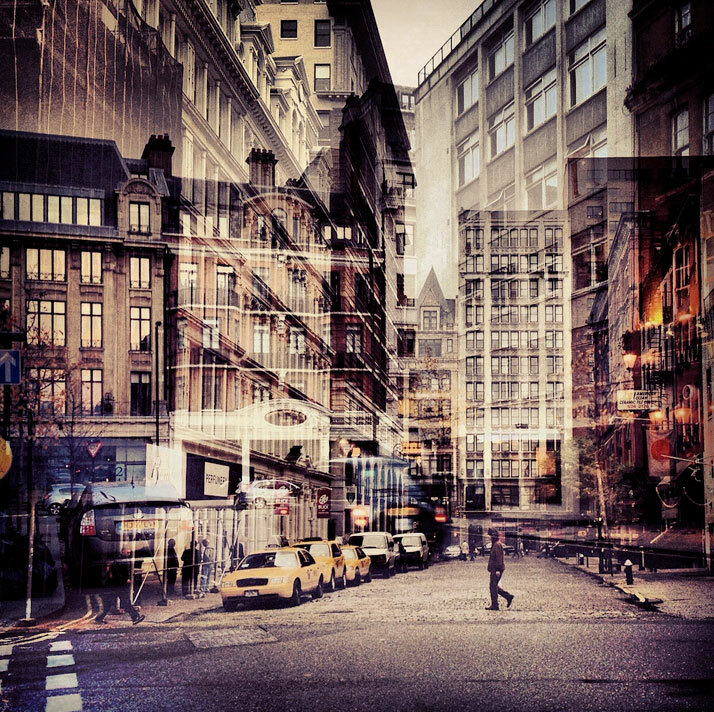 In their transatlantic duality, one can mentally travel to imaginary places, like those we form when we too think of home. 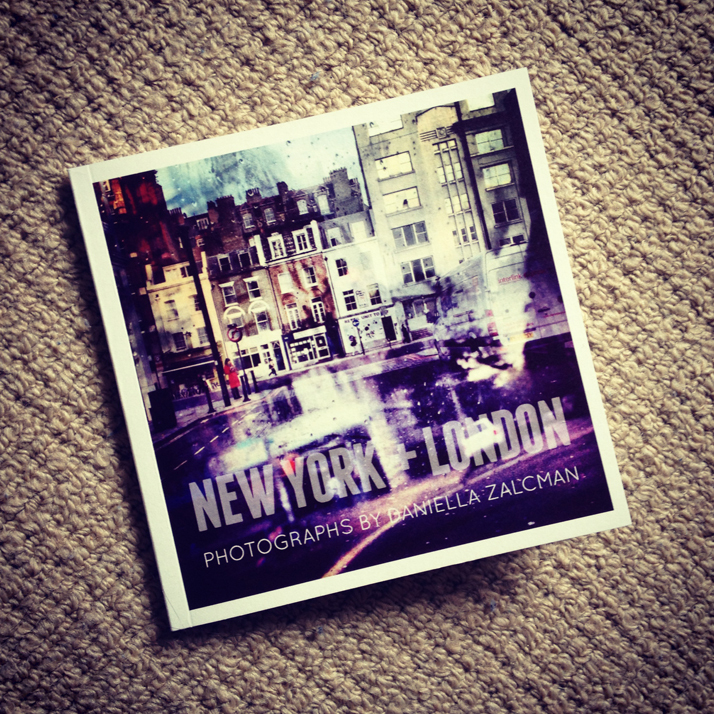 As we always carry a bit of home with us wherever we go, Daniella Zalcman ingeniously boxed up a little piece of everyday New York life and brought it along with her into the streets of London as her very own personal photographic souvenir. 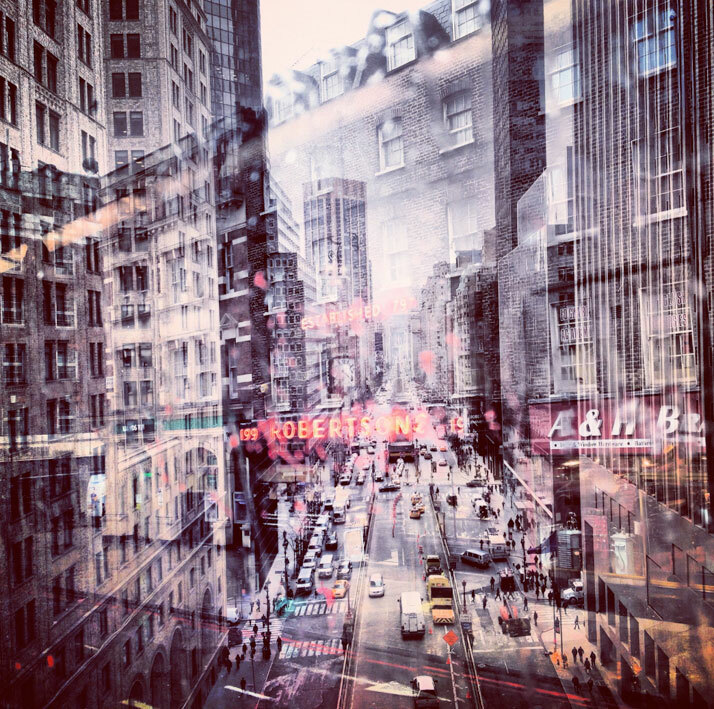 In her mesmerizing images, we witness her urban love affair of transatlantic dimensions developing before our eyes, as we blinkingly shift from one side of the Atlantic to the other. 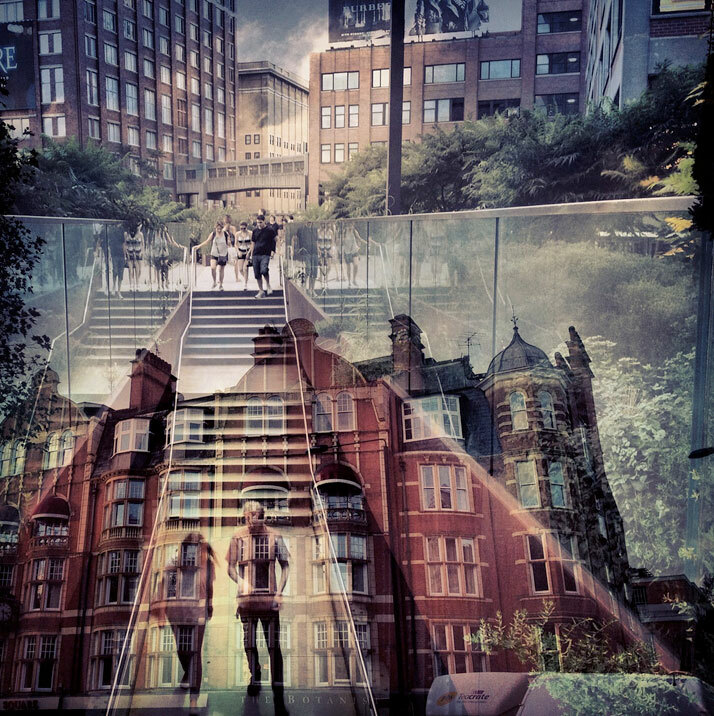 So if you, like us, can’t wait to see her visual love letter to her two beloved cities grow bigger, you can help her fund the first edition of a photo book for the New York + London project on Kickstarter.